One of the world’s leading design-to-manufacturing events focused on 3-D printing, design and engineering technology — TCT Show 2018 — returns to Halls 3 and 3A at the NEC Birmingham from 25 to 27 September. 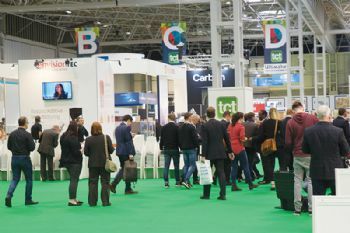 For over 20 years, the show has set the industry agenda, bringing together dozens of inspirational speakers, 300-plus exhibiting companies and more than 10,000 visitors from over 60 countries. Visitors to this year’s show will get to see first-hand all the latest products, applications and key trends shaping the 3-D printing industry. It will also feature a conference programme with leading industry speakers, real-world applications and innovations, alongside exclusive product launches and live demonstrations. 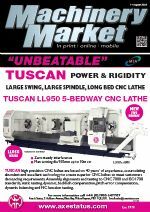 Burlescombe-based XYZ Machines Tools (www.xyzmachinetools.com), well-known for its large range of metal-cutting machine tools, has recently moved into the 3-D printing arena as an official reseller of HP’s Multi Jet Fusion technology. The company will be displaying the HP Jet Fusion 3D 4210 printing solution alongside its processing and fast-cooling station at the TCT Show (Stand N47). This combination can print at up to 4,500cm3 per hr, and it can be configured for continuous production printing, eliminating in many cases the costs associated with injection mould tools. Apart from the processing speed, another attraction of the HP Multi Jet Fusion technology is its ease of use. Its streamlined work-flow, from developing component build and automatic packing of the 380 x 284 x 380mm print chamber to maximise production prior to printing makes the technology very user-friendly. The pre-packed printing materials are easily installed, and the mixing ratios are automatically selected. At the end of the printing process, excess material is removed, and collected to be recycled, while still fully enclosed in the unit. 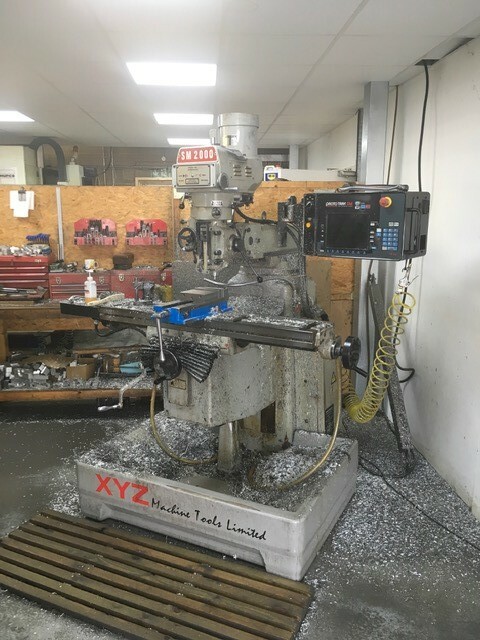 Nigel Atherton, managing director of XYZ Machine Tools, said: “We see 3-D printing as a perfect opportunity to enhance the productivity and capabilities of our existing customers, while opening up new opportunities with businesses that may not have looked at XYZ Machine Tools in the past. Meanwhile, Luton-based Trumpf Ltd (www.trumpf.com/en_GB) will debut its TruPrint 3000 system for the first time in the UK (Stand N44). A medium-format machine with a build volume of 300mm diameter x 400mm high and external part and powder management systems, this is designed for the flexible series production of complex metal components. Features include an interchangeable-cylinder concept, which reduces set-up times and increases productivity. Also on display will be the TruPrint 1000, which creates single or small batches of components of almost any geometric shape or complexity; the multi-laser option boosts productivity by up to 80%. Companies including Jabil and Volkswagen have already proved the power of desk-top 3-D printing in industrial environments, whether to make tooling or to give engineers the flexibility to innovate faster. Ultimaker (www.ultimaker.com), whose FDM systems are used by both companies, will bring its latest machine — the Ultimaker S5, a larger dual extrusion system with advanced connectivity features — to the TCT Show (Stand R18). The TCT Show will also see the UK launch of the FormUp 350 (Stand P26) — a production-focused metal additive-manufacturing system developed by France-based AddUp (www.addupsolutions.com), which is a joint venture between Fives and Michelin. The FormUp 350 is particularly targeted at the aerospace and medical industries, but it can also be applied to other sectors and can accommodate the most demanding industrial requirements. Michelin uses FormUp machines to produce over a million tyre mould inserts a year. AddUp appointed Gosport-based Geo Kingsbury (www.geokingsbury.com) as its representative in the UK, Ireland and the Middle East earlier this year. Furthering its global expansion, laser sintering leader Farsoon (www.farsoon.com) will be inviting visitors to take a tour of its China-based showroom from 10,000km away at the TCT Show (Stand G48). They will be able to see the world’s largest 3-D printed single-piece automotive HVAC housing — almost 1m long and printed on a Farsoon HT1001P — and learn more about the company’s Continuous Additive Manufacturing Systems and open-platform philosophy. Materialise (www.materialise.com), a Belgium-based company, will be exhibiting examples of 3-D printing in the aerospace sector (Stand N43), including 3-D printed overhead spacer panels for the cabins of Finnair’s Airbus A320 jets. These panels are the first Airbus cabin parts with full ‘bionic design certification’. Compared with the original design, intended for conventional production methods, the 3-D printed panels are 15% lighter. Visitors to Netherlands-based Tractus3D (www.tractus3d.com) will see how large-volume 3-D printing is revolutionising industry, using special high-performance materials like PEEK, which is seen as an ideal replacement for metal. The company will exhibit its largest commercially available Delta 3-D printer, which gives users the freedom to print particularly large objects without build volume constraints. Tiertime (www.tiertime.com), a Chinese manufacturer of 3-D printers, will demonstrate its three latest machines at the TCT Show (Stand K44). Launched this year, the line-up includes the UP mini 2 ES, the UP300 and the X5. The mini 2 ES is already available in the USA and Europe, but the UP300 and X5 will make their debuts at the show. The UP300 boasts the UP line’s largest build volume to date and is designed for optimal thermoplastic extrusion, using a wide variety of materials. The X5, shortlisted in the TCT Awards, is a new concept, designed from the ground up as a continuous 3-D printing system for low-volume manufacturing. Boston-based desk-top stereolithography leader Formlabs (www.formlabs.com) will be showcasing its entire Form 2 ecosystem (Stand F26). This includes Form Wash and Form Cure, which provide an automated approach to post-processing prints. The process allows for “setting and forgetting” within a printing work-flow, while maintaining consistent prints and optimising mechanical properties. Visitors to the stand will also be able to get a closer look at the Fuse 1 (launched last year), which promises to bring the industrial power of selective laser sintering to the bench-top. First introduced at the RAPID + TCT Show in the USA, the Fortus 380CF Production 3-D printer from Stratasys (www.stratasys.com) will be running live (Stand H36). It is available in a range of configurations and is compatible with the company’s high-performance Nylon 12 carbon-fibre thermoplastic material, which contains 35% chopped carbon-fibre. Visitors will learn how Visual First — a Dutch service bureau — is using FDM Nylon 12CF to replace metal machine parts for its customers, reducing costs by 60% and lead times by 75%. Swedish 3-D printing company 3DVerkstan AB (www.3dverkstan.se) will launch a high-temperature version of its Olsson Ruby nozzle at TCT Show (stand D42). The Olsson Ruby High Temp can handle temperatures up to 500°C and features a coating with non-stick properties, resulting in smoother and cleaner prints in heat-resistant composites, such as carbon-filled Ultem, or PEEK. Its inventor, Anders Olsson, says the nozzle could be particularly beneficial in the automotive and aerospace sectors, where high temperature 3-D printing materials could potentially replace metal parts. For the first time at the TCT Show, Xaar plc (ww.xaar.com) will exhibit its High Laydown (HL) technology for material jetting (Stand J21). The Xaar 1003 print-head enables the jetting of fluids with viscosities up to 35cP; with the addition of HL technology, even higher-viscosity fluids can be jetted at significantly increased throughput, as demonstrated using BASF fluids. This enables faster printing of 3-D parts with improved mechanical properties such as tensile strength. Hemel Hempstead-based ATA Engineering Processes Ltd (www.ataeng.com) will be showing models from its new ATACAM range of CNC laser cutters, which are suitable for cutting both metallic and non-metallic materials (Stand T24). They are equipped with CO2 laser tubes, which can be used for cutting carbon-steel and stainless-steel sheets — and for cutting non-metallic materials such as acrylic, MDF and lywood. Crewe-based Europac 3D (www.europac3d.com), one of the UK’s leading 3-D printing, scanning and inspection companies, will be exhibiting its HP Multi-Jet Fusion technology via a range of mass-customised 3-D printed products (Stand M26). The HP Multi-Jet Fusion promises faster and higher print quality at a 50% cost-per-part reduction. The latest technologies from US-based UnionTech, one of the largest manufacturers of SLA 3-D printers, will also be on the stand, including the RSPro 450. This year’s TCT Show will also see the UK and Ireland launch of Mimaki’s 10 million-colour 3DUJ-553 3D printer on the stand of its exclusive distributor, Crewe-based Hybrid Services Ltd (www.hybridservices.co.uk) (Stand R16). Shortlisted in this year’s TCT Awards, the Mimaki 3DUJ-553 3-D printer uses a UV-curable jetting process to produce full-colour detailed parts at a resolution of 19µm within a build volume of 500 x 500 x 300mm. The machine is compatible with white and clear inks, which can be mixed with colours to add transparency to prints. Its water-soluble support material eliminates the need for manual removal of support structures. With the ability to match around 84% of FOGRA 39L colours and 90% of the SWOP gamut, the Mimaki 3-D printer uses an output ICC profile that can be run within Photoshop to accurately simulate colour output on screen. Skipton-based Guyson International (www.guyson.co.uk), a manufacturer of industrial finishing equipment, will be showcasing its new Euroblast Ex range of blast systems (Stand S44). Designed for use with potentially explosive powders and certified to ATEX 2014/34/EU, they are particularly relevant to 3-D printing applications where the use of fine-powder materials — including plastic, aluminium, titanium and Inconel — could create potentially explosive atmospheres. The Euro-blast Ex range features four sizes of blast cabinet, a cyclone reclamator and a dust collector. An optional rotating basket is available on select models. Merseyside-based Rösler UK (uk.rosler.com/uk-en), a global leader in the field of shot-blasting and mass-finishing, offers surface-finishing technology for the post-processing of automotive, aerospace, medical, food processing and jewellery parts. New at the show (Stand T42) will be the Rösler ‘plug and play’ trough machine — compact, mobile and versatile — for finishing both plastic and metal 3-D printed parts. The company will also be exhibiting a blast cabinet for the post-printing blast-cleaning of plastic parts. Derbyshire-based Carbolite Gero (www.carbolite-gero.com), currently celebrating its 80th year, will showcase its GPCMA retort furnace (Stand Q44); this is said to be ideal for 3-D printing, with its modified inert atmosphere, and can be supplied with Type B instrumentation to meet the requirements of AMS 2750E Class 1. Accommodating up to four build plates, the range has heating on four sides to improve temperature uniformity inside the retort, where temperature thermocouples are located. In addition, in order to shorten cycle times, the larger models have temperature-interlocked water-cooled swing-out doors for quick loading/unloading. 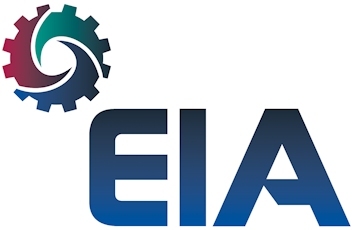 US-based EnvisionTEC (www.envisiontec.com) will be showing a large range of 3-D printing solutions, from the highly accurate desk-top Micro and Vida ranges through to large-frame 3SP models for large-scale production and prototyping (Stand N35). The company will also be displaying its latest range of CDLM (Continuous Digital Light Manufacturing) 3-D printers, which use patented domeless technology to provide rapid printing without a loss of resolution or surface quality. Available to view on the stand will be examples of prints and casts from the Viridis RAM sand printer, which can create printed sand moulds for casting volumes up to 600 x 1,380 x 1,830mm. US-based 3D Systems (www.3dsystems.com) will be showcasing its wide range of 3-D printing solutions for plastics and metals (Stand L24). The company’s latest offering includes the scalable Figure 4 production platform — a complete end-to-end digital moulding solution. The company will also be displaying its new entry-level industrial-grade desk-top FabPro 1000, plus its high throughput DMP Flex 100 for entry-level metal and dental applications. Leading finishing specialist PDJ Vibro (www.pdjvibro.co.uk), based in Bletchley, will be promoting its range of new and refurbished vibratory bowls, troughs, barrels and high-energy centrifugal equipment for automated and consistent component deburring, descaling, edge breaking, surface finishing and superfinishing (Stand W35). The company holds 120 machines in stock with flexible payment and buy-back solutions, plus more than 120 tonnes of abrasive media and compounds. Additionally, free advice and sample processing trials are available at its technical centre, as well as a 24/7 sub-contract finishing service.